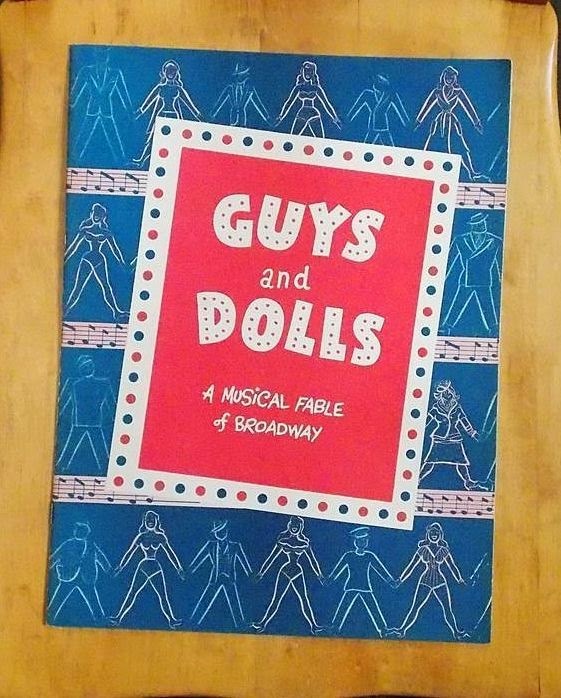 Putnam County Playhouse: GUYS & DOLLS CAST ANNOUNCED!! The first show of the season has been cast! Guys & Dolls will be produced June 5-7 and June 11-14. Season ticket brochures are in the mail. Return yours promptly to get priority seating! Guys & Dolls is being sponsored by First National Bank. Click HERE to learn more about our sponsor! Leading the cast are Dustin Bond as Sky Masterson and Scott Armitage as Nathan Detroit, two gamblers about town. Their distaff partners are Ashlee Ann Vitz (Miss Adelaide) and Sarah Bond (Sarah Brown). Their fellow gamblers are David Roberts (Nicely Nicely), Jacob Peterman (Harry the Horse), Craig Armitage (Benny Southstreet), Chris Wurster (Rusty Charlie), TJ Tincher (Angie the Ox), and Clarence Long (Big Jule). At rehearsal: Craig Armitage, Jacob Peterman, David Roberts, Scott Armitage, and Chris Wurster. Joining Sarah Brown at the Save-A-Soul Mission are Jim Poor (Arvide), Annie Weltz (Agatha), Hannah Brattain (Martha), Elijah Brattain (Calvin), and Eleanor Howard (General Matilda Cartwright). The dancing chorus includes Jerica Bean, Elise Merrell, and Michaela Semak. Dylan Bodnarick is playing Lt.Brannigan and the emcee at the Hot Box Night Club. Director and choreographer for the musical is Jack Randall Earles. Vocal and musical direction is by Geoff Price. Sandi Rossok is assistant director. at the annual Open House.